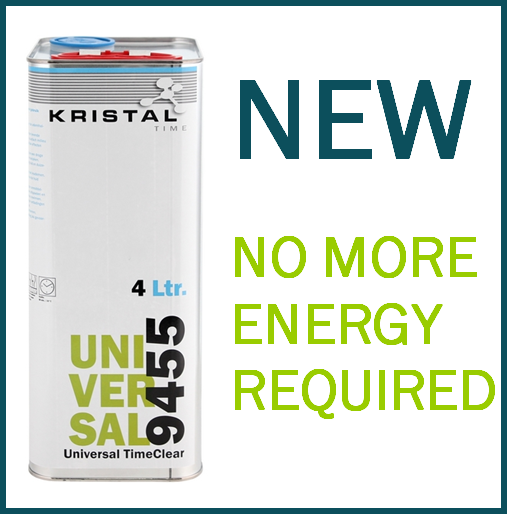 KRISTAL HS Hardeners 82 are used at various temperatures. KRISTAL HS Hardener 82 Fast, for lower temperatures with small to medium-sized objects, 10 - 18 C and spot-repair. KRISTAL HS Hardener 82 Standard, for lower temperatures with small to medium-sized objects, 18 - 25 C.
KRISTAL HS Hardener 82 Slow, at higher temperatures or big objects, 25 - 35 C.
In combination with KRISTAL HS Clear Coat 92 2:1 as coating for car repair and heavy transport.